Product prices and availability are accurate as of 2019-04-03 12:53:57 EDT and are subject to change. Any price and availability information displayed on http://www.amazon.com/ at the time of purchase will apply to the purchase of this product. 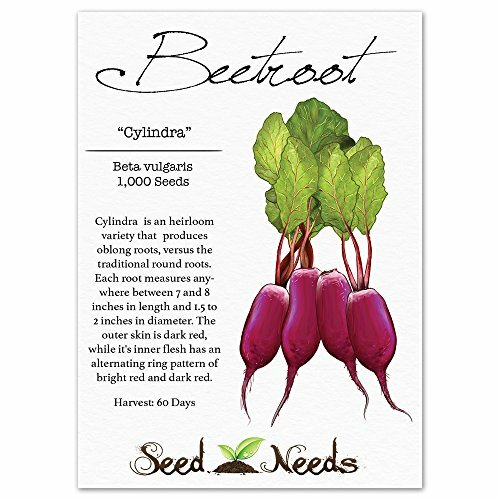 Grow a garden filled with Cylindra Beets, from freshly harvested Beta vulgaris seeds. Cylindra is an heirloom variety that produces oblong roots, versus the traditional round roots. Each root measures anywhere between 7 and 8 inches in length and 1.5 to 2 inches in diameter. The outer skin is dark red, while it's inner flesh has an alternating ring pattern of bright red and dark red. The tops are bright green in color, with small red veins, and will grow to about 10 inches tall. Slice the roots, as well as the delicious tops, into salads, or enjoy raw. The leafy greens are used as an alternative to Spinach and the roots present a sweet flavoring. Cylindra Beetroots are ready for harvesting in roughly 60 days. 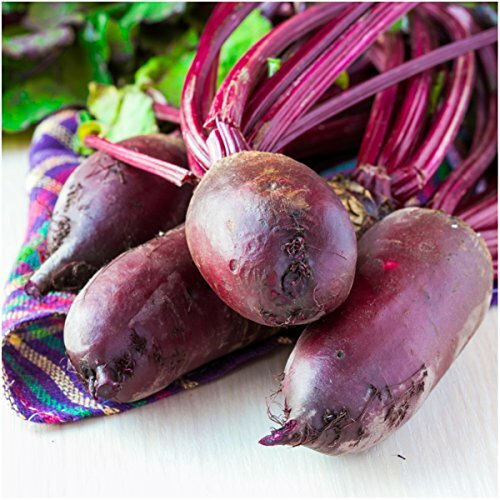 Beets, or "Beetroots" are an easy variety of vegetable to grow in your home garden. They date back to as early as 2,000 B.C., spreading from Babylonia to China, around 850 A.D. 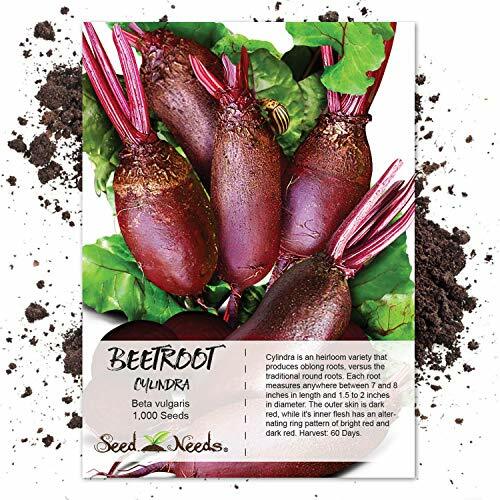 Forming oblong roots, Cylindra Beets grow much like carrots, turnips and radishes. Categorized as an annual, they grow quickly in the cooler temperatures of early Spring and late Fall. Once they are fully grown, they can be harvested, thus ending their lifecycle. 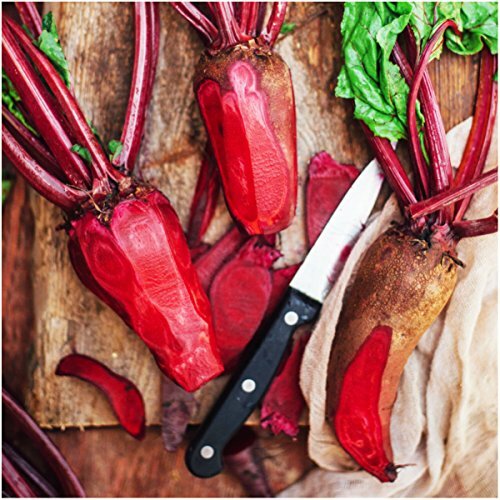 If temperatures become too hot, your beets will begin to bolt. This simply means that your Beetroot plants will no longer send it's energy to produce it's roots, instead it will produce seeds. This can be beneficial if you are looking to collect seeds to regrow the following season. 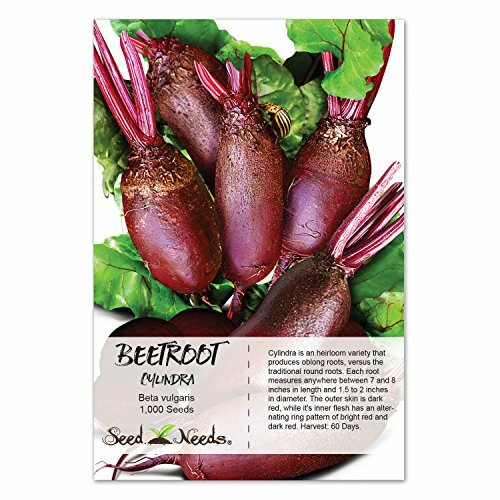 Quality Beet seeds packaged by Seed Needs. Intended for the current and the following growing season. Packets are 3.25" wide by 4.50" tall and come with a full colored illustration on the front side, as well as detailed sowing instructions on the reverse. Cylindra is an heirloom variety that produces oblong roots, versus the traditional round roots. Each root measures anywhere between 7 and 8 inches in length and 1.5 to 2 inches in diameter. The outer skin is dark red, while it's inner flesh has an alternating ring pattern of bright red and dark red. The tops are bright green in color, with small red veins, and will grow to about 10 inches tall. Slice the roots, as well as the delicious tops, into salads, or enjoy raw. Cylindra Beetroots are ready for harvesting in roughly 60 days. 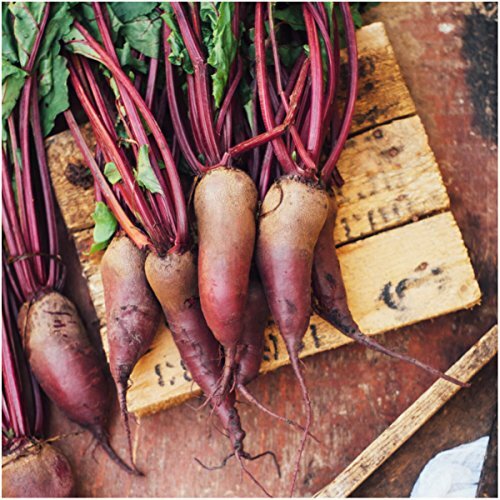 All Beet seeds sold by Seed Needs are Non-GMO based seed products and are intended for the current & the following growing season. All seeds are produced from open pollinated plants, stored in a temperature controlled facility and constantly moved out due to popularity.